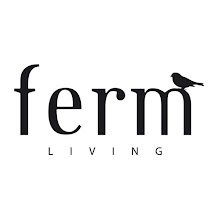 ferm LIVING are proud and happy to be a part of DANISH LIVINGroom at Salone Internazionale del Mobile! The Consulate General of Denmark in Milan launches a new cutting edge exhibition concept, branding Danish Design companies in a living room. A wide spectrum of Danish designs will be on display at the exhibition DANISH LIVINGroom, pav. 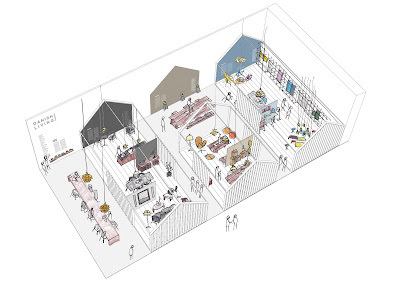 10, stand C07 showcasing 3 thematic houses of Danish design in a 200m2 space. Great master pieces from the past will be displayed along-side new, innovative and experimenting furniture designs. In all more than 150 items represented by 24 Danish companies are at display! Each house is furnished based on a theme, respectively the Minimalistic, Luxury Boheme and Funky theme, with the idea of expressing three different ways of Danish living. Furthermore, the pavilion has an outdoor area displaying a huge plank table where all exhibitors can network, meet visitors and clients. As breaking news, the participating companies are showing their creations in a living context, with the goal not only to demonstrate each single item, but also to create an environment where the products are placed to be experienced in synergy. The Danish General Consulate in Milan has created the concept DANISH LIVINGroom where the visitors are invited to come and explore – to try out the chairs, listen to the music and enjoy a relaxed moment. Danish designers are world famous for being masters of combining form, functionality and aesthetics to the full benefit of the user, so why not try it out. Denmark has a proud design history and is internationally known for its many design icons from the fifties and sixties. However, a new talented generation of designers and craftspeople has demonstrated that they are capable of taking up the mantle. We have decided to let tradition and renewal join forces and display the best from these two worlds at Salone Internazionale del Mobile in Milan, says Consul General of Denmark, Steen Thorsted. Come and visit the DANISH LIVINGroom at Stand C07, pav. 10 April 17-22, 2012 at the Milano Rho Fair.